In the early 1970’s I began practicing yoga and meditation and began using my hands to help friends in need with aches and pains. I also enrolled in a massage program in a Eugene OR community college. I did not complete that program and went on instead to spend years in long meditation retreats and then teaching meditation. Fast-forward many years through raising a family and I found myself looking for a healing art I would love that would somehow take advantage of all those years of meditation and yoga. I stumbled upon Thai Yoga Massage and fell in love. Nuad Boran, also known as Traditional Thai Massage is an ancient, sacred form of energy-body work that is based on a synthesis of yoga, Ayurveda, knowledge of the pranic energy body, a meditative state and Metta (the Buddhist practice of loving kindness). It’s origin is attributed to the yogi and ayurvedic physician to Buddha, Jivaka Kumar Bhaccha, The Father Doctor. 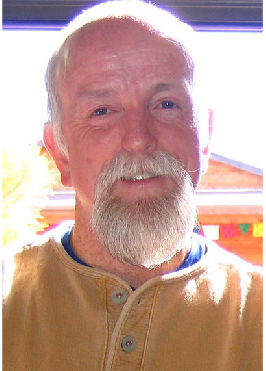 In July of 2007 I completed an immersion course in Thai Yoga Therapy taught by Saul David Raye in Ojai California. Saul is a wonderful teacher who radiates that deep meditative presence. He also teaches yoga and yoga teacher training. I could praise this man all day. He is a master of Thai Yoga Therapy and teaching Yoga and his kirtans are awesome! A very inspiring man. Several months later I went in search of advanced training and decided to attend Advanced Thai Yoga Massage with The Lotus Palm School of Thai Yoga Massage in Montreal, Quebec. At that time Lotus Palm was completely focused on Thai Yoga Massage and offers a full curriculum through teacher certification. The advanced Thai Massage course was taught by Kam Thye Chow, the founder of Lotus Palm and Shai Plonski, Kam’s Senior teacher, two wonderful souls, who are awesome teachers and masters of Thai Yoga Massage. I hope to return for more Thai Massage studies with both Saul and Kam Thye and also plan to spend time studying Traditional Thai Massage in Thailand. Saul and Kam Thye were both students of Asokananda in Thailand so this is my primary lineage in the Thai Yoga Massage tradition. I have also studied briefly with Lyrea Crawford in Madison. Her primary lineage is Old Medicine Hospital style as taught by Chongkol Setthakorn. Both Asokananda and Chongkol taught the Northern Style of Traditional Thai Massage.